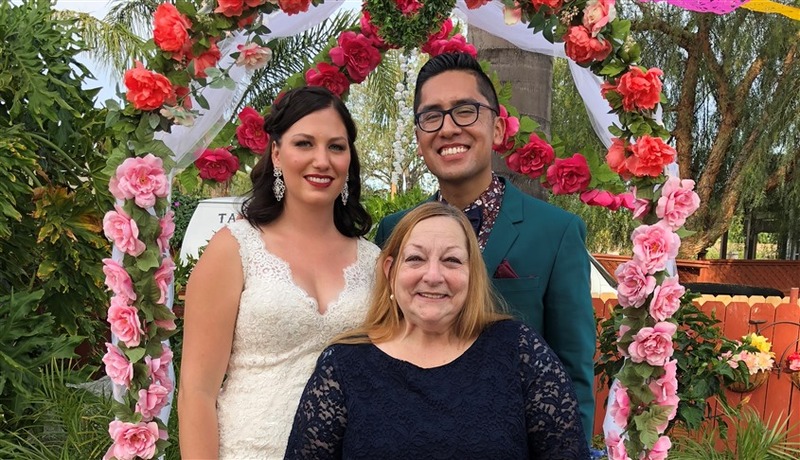 Renne Gobuty of Celebrate Two Wedding Officiant Svc, a wedding officiant in Los Angeles, California, told us some things you must know before hiring a wedding officiant and shared details about the wedding officiant cost. My name is Renne Gobuty and I am a native of Southern California. The first time I was a wedding officiant was at my best friend's wedding on 11-11-11. I had done my research and performed her ceremony in a lovely park setting with 35 guests attending. I loved it and thought that I could really do this as a full-time job, but I still needed to finish my years in the school district before I could undertake this opportunity. Yes, health insurance benefits do matter. I started working for my local school district as a school secretary in 1982 and continued working for the district until 2012 when I was able to retire after 30 years of continuous service. Once I retired, I was in need of another path to create. Becoming a mobile Notary Public was a great business to start with. I took the state required Notary and LSA classes and tests, and in February 2017 became a commissioned California Notary Public and Loan Signing Agent. I remembered the fun and joy I had as a wedding officiant at my friend's wedding and thought I could now devote the time to make being a wedding officiant the major part of my Notary business. I now consider myself a full-time Wedding Officiant with Celebrate Two Wedding Officiant Svc, officially starting in 2017. I love being a wedding officiant because I believe in love and seeing people happy. I hope that the personalized wedding ceremonies I create for couples share their love story with their guests and bring them closer to the couple. There is no wedding officiant guide, I like bringing the couple's story to life and creating joyful memories for both the wedding couple and their guests. Of course, one of the most common questions I get asked is the wedding officiant cost. I let them know about my packages and explain that I'm there for them. It's their ceremony and I want it to be all about them. Another common question couples ask me is to explain the different sub-ceremonies I offer. What are the typical services/packages offered by wedding officiants? Different wedding officiants offer different levels of services and packages that they price accordingly. I try to keep my prices competitive with local officiants. I offer personalized ceremonies where I pull personal information from a unique questionnaire I ask my couples to complete. The partners each get one and answer all or as many questions as they want (there are not that many, but the more they answer the better I get to know the couple and understand their relationship) and I instruct them NOT to show their answers to each other. I also offer sub-ceremonies such as a unity candle, special readings for friends or family, rose appreciation ceremonies for the moms, a memory box, and a sand ceremony, among others. I can also craft a child-friendly portion if the new family includes a step-parent/child new relationship if wanted. I include either mailing or delivering the signed marriage license to the correct county registrar recorder's office within five days of the ceremony. If asked, I will do a walk-through of the ceremony with the wedding party a few days before the ceremony so everyone is clear on where to go and what their job is during the ceremony. How much should the couples expect to pay for these services? My elopement fee is $200 for a simple ceremony. My regular wedding officiant cost starts at $275. Additional fees might include but are not limited to the time of the year of the wedding or if it is being held on a holiday or holiday weekend, items needed for the chosen sub-ceremony, travel fees, and any Notary acts (requests for certified licenses). 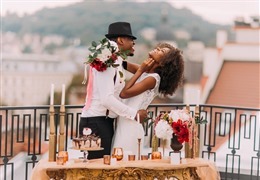 Some wedding officiants charge a rehearsal fee, possibly a traveling fee, and request overnight accommodations if your venue is a good distance away. How do you know if you're talking to a good wedding officiant? Wedding officiants are the most important ones among your wedding vendors. They are the ones who are uniting you and your partner together for a lifelong commitment. It's imperative to have a good and open relationship with your officiant. Get to know your wedding officiant. Check their credentials. Be specific in telling them what you want in your ceremony and how you want it to go. Are they willing to work with you and deliver what you want? Are they reachable? Do your research by checking their websites and other wedding officiant finder websites like The Knot, Wedding Wire, and Wedding Venture. Do they understand the laws in your state regarding the process of getting married and filing the forms? Why is it important to get married by a professional wedding officiant? Having a friend or a family member perform your ceremony may be sweet and meaningful, but if the laws of your state regarding who can marry you aren't followed, a couple may find out later on that they are not really married and will have legal issues down the road. What's the best way to get started with writing the vows? 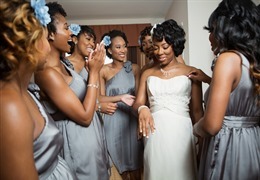 The vows are the most personal part of the wedding ceremony. This is when you tell your partner how you really feel, what you want your future to include, and most of all, what you promise them (to support them, to love them, to be their best friend). Start with writing about everything you are feeling in your heart for your partner. What was the most memorable wedding where you were a wedding officiant? All my weddings are memorable as each one tells a different love story. One of my favorite weddings where I was a wedding officiant at was a young couple from Louisiana. They were high school sweethearts in their early 20's and found me through a local Facebook website. 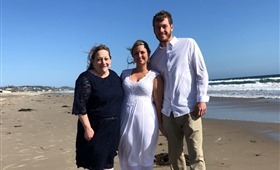 The elopement ceremony was held at a beach site in Malibu with their mothers as witnesses. They had a photographer there to capture the special moments. They were the sweetest people and you could tell they were so much in love. I'm a pretty organized person and try not to leave anything to chance, but I always expect the unexpected and hope that I can roll with the flow. I remember on my wedding day, we were taking family pictures before the ceremony and all of a sudden, the room started to spin and I told my husband to be that I was not feeling well. I passed out right to the floor and came back sitting up with a towel covering my chest and someone trying to have me drink apple juice. 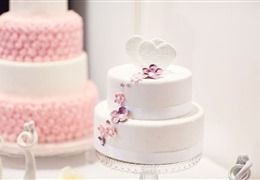 Yes, no food and wedding stress can lead to low blood sugar. 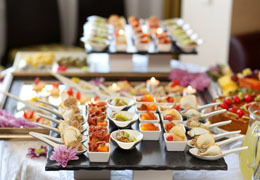 The improvisations and "little things that go wrong" make your wedding yours. Writing the wedding officiant script is the most difficult part of the process. It's where my creative juices need to be at their best. I need to share the couple's love story with their guests and balance that with a touch of humor, the importance of the commitment they are making that day, and anything else the couple wants me to include (a special poem, a scripture reading, or a sub-ceremony) and make sure it all flows together and makes sense. I usually show up at the wedding venue about 30 minutes before ceremony time. I have the witnesses sign the marriage license first. I make sure that everyone knows in what order they are walking before and after the ceremony, ask if the maid of honor and the best man have the rings and if there are there any questions from anyone about the ceremony. At ceremony time, I will walk out first, then the music and the processional starts. Once the ceremony is over, I will have the groom and bride sign the marriage license and any other papers that need attention. Once that is done, the celebration can start! What would your advice for the brides and grooms be? Breathe, breathe, and breathe again. The big things almost always turn out to be little things and those usually work themselves out. As a wedding officiant, I know best that weddings are all about love and love should never be stressful. Learn more about Celebrate Two Wedding Officiant Svc and see what they have to offer!